Internal rebranding programme for the Emirates Stadium including several hospitality areas and the 'Arsenalisation' of the venue. The Emirates Stadium, the home of Arsenal Football Club, is widely regarded as the benchmark for modern sports venues, thanks to its exceptional sightlines for spectators and high-quality hospitality facilities. Emirates Airline agreed a deal for the stadium naming rights in 2004, two years before construction work was completed and the club relocated from its Highbury ground. 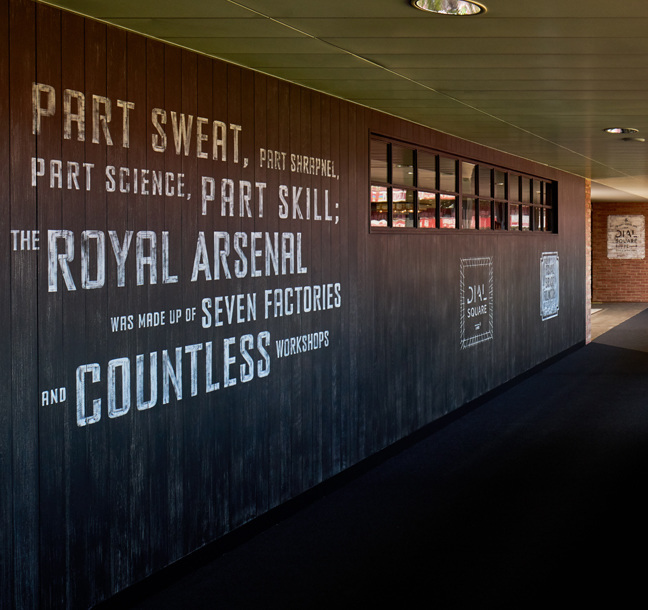 Arsenal’s directors decided to embark on a stadium enhancement programme in 2009 and, following discussions with supporters’ groups, agreed that it should include the ‘Arsenalisation’ of the venue to ensure it reflected the club’s heritage. 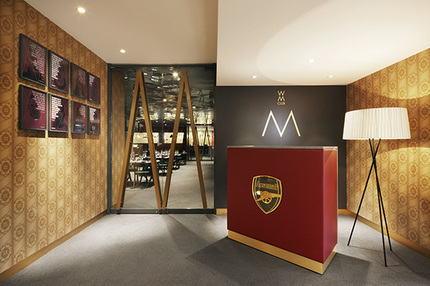 Part of the programme was a major redevelopment of the Club Level - a tier with 7,000 premium seats and high-end hospitality areas - that needed to be finished in a manner in keeping with the ‘Arsenalisation’ theme. Principle developed and implemented an extensive range of bespoke interior products for the project, including door graphics, enamelled badges, wall coverings, decorative glazing, upholstered fabrics, profile cut text, decorated ceiling tiles and Corian back bars. The project, which gave Club Level members access to upmarket restaurants, a sports bar and new luxury lounge, was turned around in just five weeks.